As I type this blog post, hundreds of people are typing and tweeting about how much corn is being used to produce ethanol. What they don’t realize is that farmers are producing more corn with less land to meet everyone’s needs and then some. Besides the increase in productivity, the corn used for ethanol produces a very important byproduct that is seldom ever mentioned by anti-agriculture journalists and bloggers, that product is distiller grains. 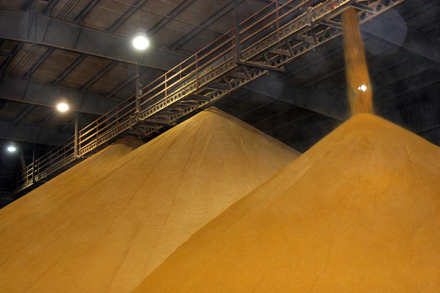 The corn to ethanol process uses only starch, which is around 70% of the kernel. The rest of the nutrients including protein, fat, minerals and vitamins are concentrated into a valuable feedstock called distiller grains. Let’s break it down: 1 bushel of corn weighs 56 pounds, and that bushel will produce 2.8 gallons of ethanol and 18 pounds of distiller grains. Basically, one-third of the corn used for ethanol is being fed back to livestock while the other two-thirds are producing clean-burning, home grown ethanol. Dried distiller grains with solubles, are a popular choice in the feed industry. DDGS are a very high quality protein feed ration that is fed primarily to dairy and beef cattle, but also to swine, poultry and aquaculture. 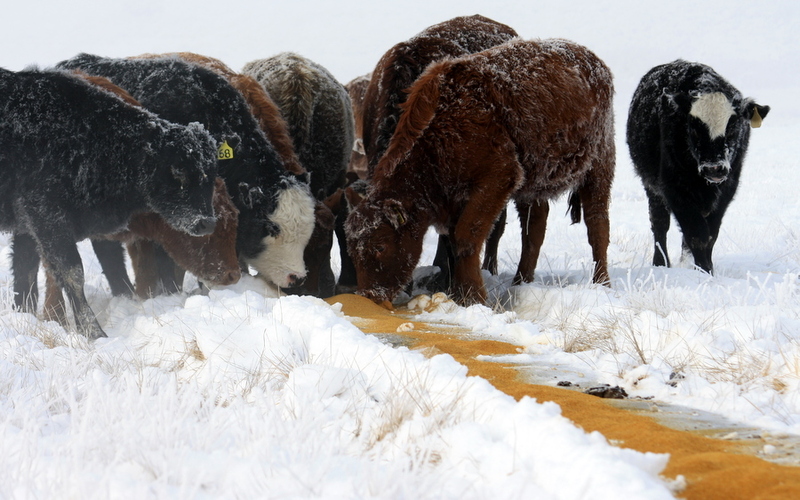 This feed is highly economical costing around $120 per ton equaling less than a $1 per bushel, which helps livestock producers keep down their costs. This year, dried distiller grains will displace more than 1 billion bushels of corn in the United States and has become a very hot commodity in the global market. Distiller grains are usually the missing component when the anti-ethanol crowd is figuring the net energy of ethanol. They are also a missing key to the bloggers and tweeps passing on the “Food vs. Fuel” debate. Distiller grains seem to do so much to get mentioned so little. This entry was posted in Education and tagged corn, DDG, DDGS, distiller grains, ethanol, export, feed, livestock, United States.